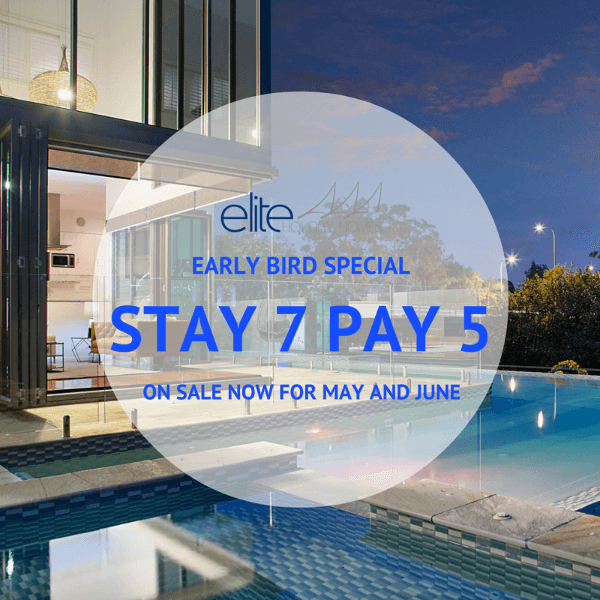 Book now for May or June 2017 and you could be enjoying the luxury of an Elite Holiday Home during one of the Gold Coast’s most beautiful times of year. To book please quote promo code STAY7PAY5. Offer Expires 31st December 2016.